You'll be £10.39 closer to your next £10.00 credit when you purchase Struggle and Suffrage in Bradford. What's this? Order within the next 4 hours, 7 minutes to get your order processed the next working day! In 1850, the population of Bradford was 103,000, having soared from 34,000 just ten years earlier. The town was on the cusp of worldwide fame as, over the coming decades, it would grow to become the wool capital of the world. Women of Bradford explores what it was like to be a woman in Bradford between the years 1850 and 1950 – a century of incredible change as the town became a city and women’s roles, both at home and in society, altered dramatically. Bradford-born author Rachel Bellerby explores a wide range of sources to share incredible tales of Bradford women of all classes, using oral testimonies, newspaper reports and official documentation. 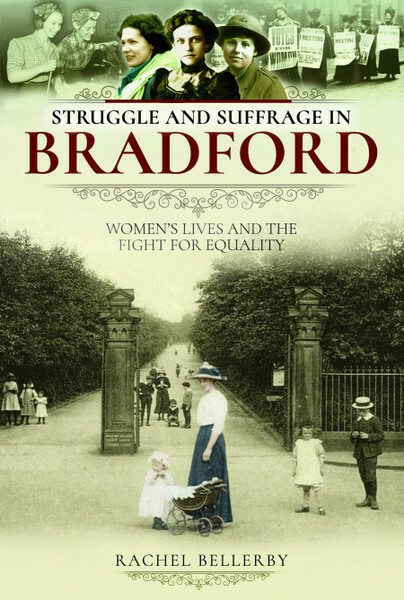 This is the story of the struggles and prejudice which women overcame, a celebration of the achievements of Bradford women, and a fresh new look at a history which, until now, has focused largely on men.